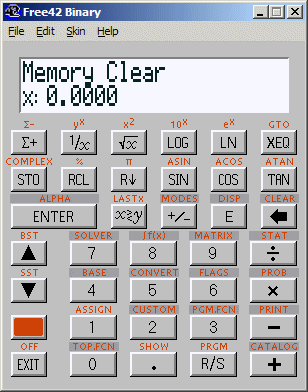 Unlike most other HP calculator emulators, Free42 HP 42S Emulator requires no ROM images to work; Thomas Okken re-wrote all of the HP-42S functionality from scratch, and he is making this code available to the general public. You will need www.winzip.com to expand the archived. And you will need Adobe Acrobat Read, available from http://www.adobe.com/support/downloads/, to read the content. Tagged By: Free Downloads, HP 42 S RPN Scientific Calculator.